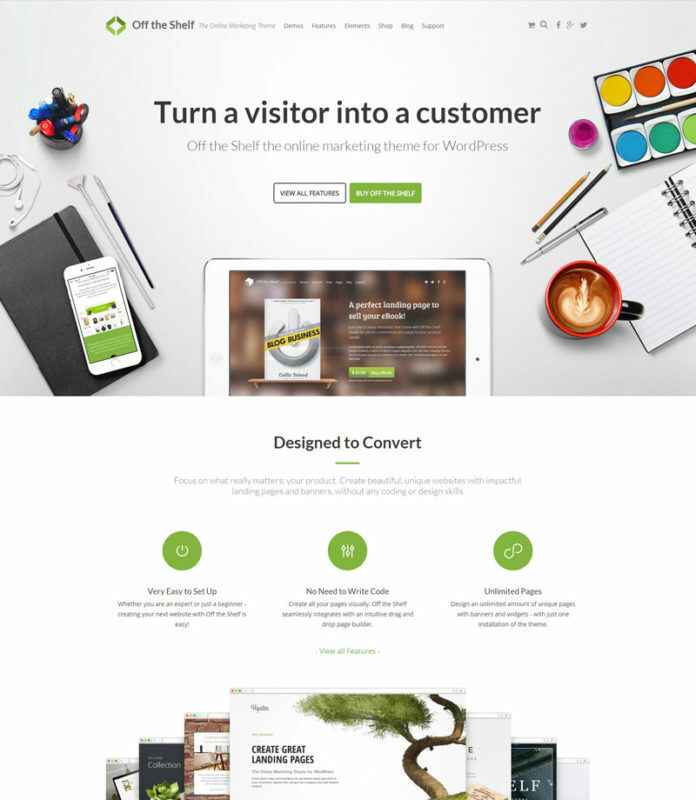 Create multiple sites, landing pages and sales pages with one installation of the theme. Whether you are looking for bold, conversion-optimized landing pages, a modern blog or an attractive online store to run your business—Off the Shelf is the only online marketing theme you will ever need to create websites that deliver outstanding results and boost your conversions! Wether you are an expert or just a beginner, creating your next website with Off the Shelf is easy! Off the Shelf is fully responsive. With crystal clear graphics and typography, your site looks stunning on any device. There is virtually nothing you cannot customize in Off the Shelf: layout, typography, colors and banners. 100% Responsive – Off the Shelf adapts beautifuly to any screen size. Wether mobile, tablet or desktop pc, your website looks great. Cross Browser Compatibility - No matter which browser your customers will use, Off the Shelf looks good in any of them! I just wanted to send a few words of praise to the author of this theme. Sir, you have created something very special here, and I’m sure it will benefit many people. It offers excellent design quality and integration with WooCommerce, fast rendering, and customizability. reate your website visually without any limitations. No coding is required, with an intuitive interface you can create your next project with a couple of clicks and with over 30 custom Off the Shelf Widgets we make sure you have the building blocks to do so. Wether you want to optimize your Site with YOAST Seo, include MailChimp or speed it up with W3C Total Cache. Off the Shelf has your back!